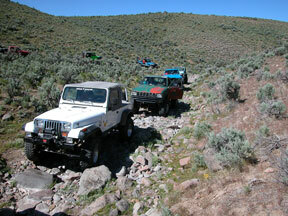 We had a variety of rigs on this trip. 33" tires and one locker were very helpful on this particular trail. 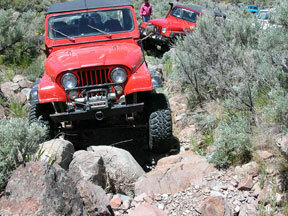 Choosing the right tires, BFG MT's for me, really helps in desert rock wheeling. 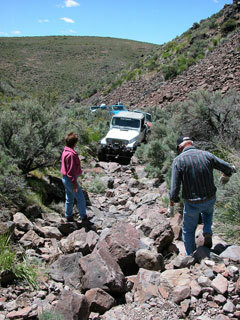 We stayed on the trail and didn't have much maneuvering room over the rocks. We all helped each other over the hard spots. What a ball! 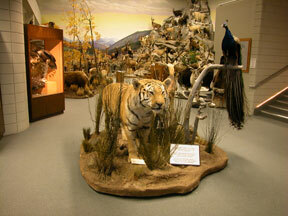 As an added treat in Elko, NV, the museum is a awesome place to visit. You've never seen such a great collection of wildlife species. 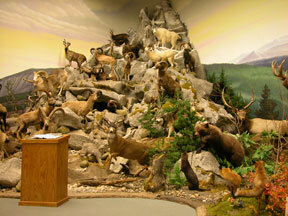 This collection of sheep and various wildlife fascinated all of us who visited the museum. 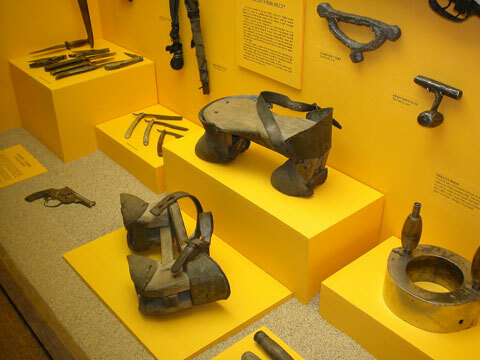 These "shoes" were in the museum, and actually used by certain savory characters. If you can't guess their purpose, click here.